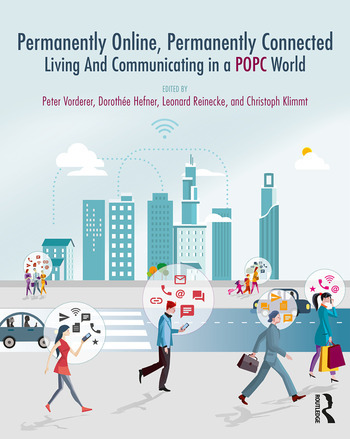 Permanently Online, Permanently Connected establishes the conceptual grounds needed for a solid understanding of the permanently online/permanently connected phenomenon, its causes and consequences, and its applied implications. Due to the diffusion of mobile devices, the ways people communicate and interact with each other and use electronic media have changed substantially within a short period of time. This megatrend comes with fundamental challenges to communication, both theoretical and empirical. The book offers a compendium of perspectives and theoretical approaches from leading thinkers in the field to empower communication scholars to develop this research systematically, exhaustively, and quickly. It is essential reading for media and communication scholars and students studying new media, media effects, and communication theory. Chapter 7: Multitasking: Does It Actually Exist? Peter Vorderer is a professor of media and communication studies at the University of Mannheim. Previous affiliations include the University of Toronto, Hanover University of Music, Drama and Media, the University of Southern California, and the VU University of Amsterdam. He served as president of the International Communication Association (ICA) from 2014 to 2015. His research focuses on media use and media effects with a special interest in entertainment research and new media and how permanent connectedness with others via mobile devices changes individuals and society at large. Dorothée Hefner is a research associate at the Hanover University of Music, Drama and Media. Her research focuses on (permanent) mobile phone use and digital connectedness and their antecedents, as well as implications for interpersonal communication, political information, and individual well-being. Leonard Reinecke is an assistant professor at the Department of Communication at Johannes Gutenberg University Mainz, Germany. His research focuses on media uses and effects, media entertainment, and online communication. He has conducted research on various aspects of media use and well-being, including media-induced recovery from stress and strain and the interaction of media use and self-control. Christoph Klimmt is a professor of communication at Hanover University of Music, Drama and Media. Beyond research on media entertainment, video games in particular, he is interested in media effects in news, advertising, risk, health, and science communication. Klimmt is currently serving as associate editor of the Journal of Media Psychology.